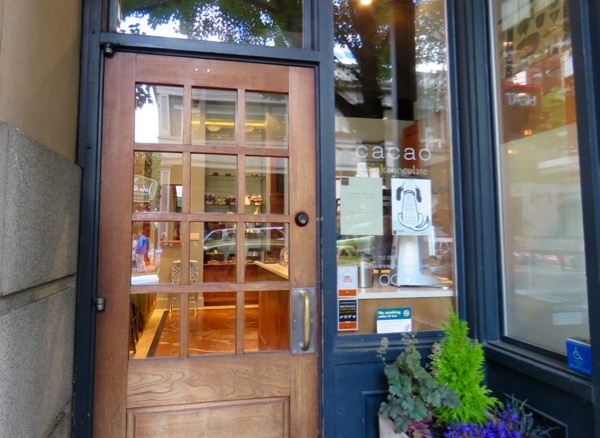 Welcome to the last day of Chocolate, Fruit and Botanicals Month, and the first day of Ecuadorian Cacao Theme Week. 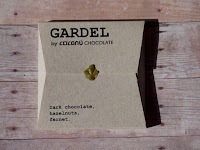 Today's two relatively sweet dark bars hailed from Cocanu Chocolate (Portland, OR). 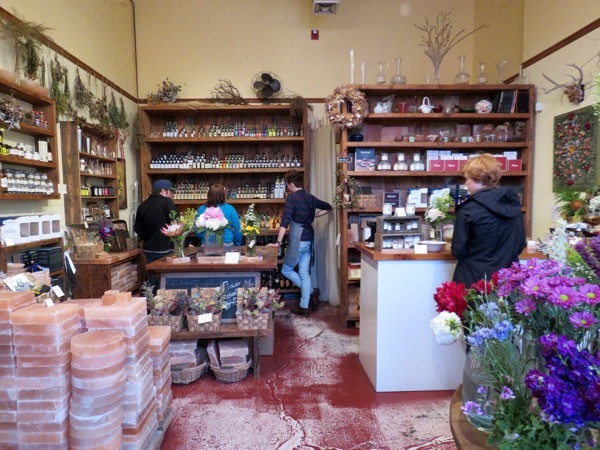 I bought them at two different specialty retail shops in Portland (Cacao and The Meadow—both great sources for interesting, high-quality chocolates). 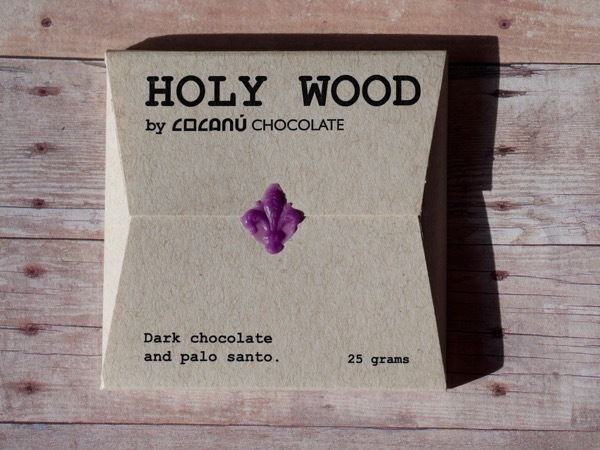 Cocanu's 70% cacao Holy Wood bar was made with Nacional cacao from Ecuador and infused with aromatic Palo Santo wood, also from Ecuador. 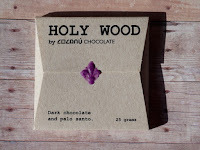 The wood's flavor was so subtle, I failed to detect it. Could it be that this flavor is part of the terroir that I already associate with Ecuador? Another possibility: I dulled my palette with something I ate or drank earlier. 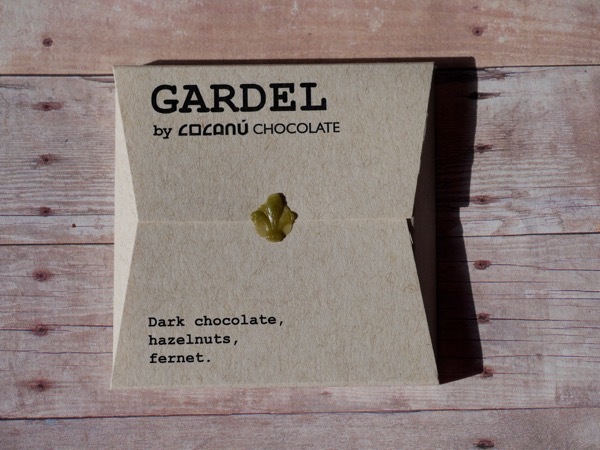 The company's 72% Gardel bar did have a subtle, pleasing overall hazelnut taste, with a few tiny crunchy nut bits embedded in it. 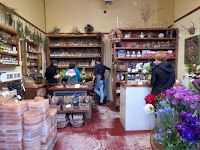 The "fernet"—Fernet Branca (a botanical liqueur popular in Europe— was so subtle that, like the bar above, I missed it. 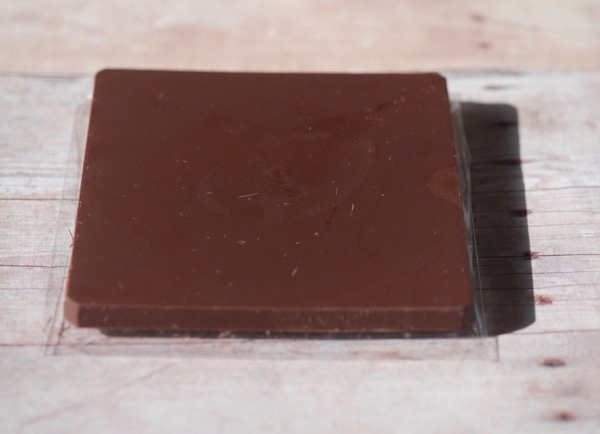 Both square bars (sealed with a fleur de lis wax stamp) were thick enough to provide a substantial bite, and thin enough to make flavors accessible, in other words just the right thickness for tasting in my opinion.